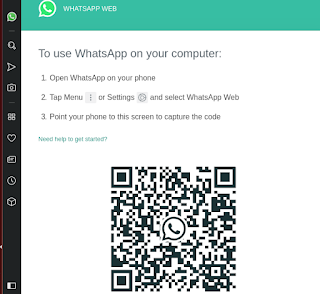 Hi there, this time I will share for all reader here about how to set Whatsapp on the web or your computer.I think there view people know about this, but today we will revealed it. 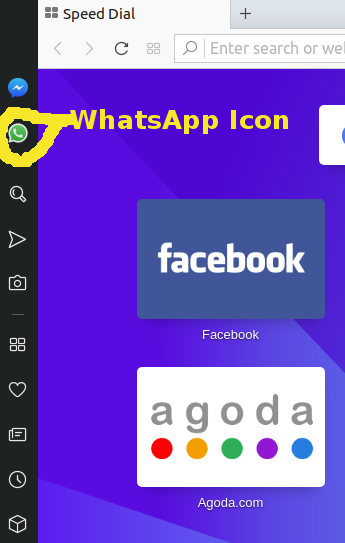 In this article will show you about trick to add Whatsapp Icon on Browser. I think all computer user using Whatsapp is one of the alternative connection application between people. You can download it from Google Play Store with free. This software offered by Whatsapp Inc. It has been released on Oct 18, 2010. It have been download 1.000.000.00 time. And Today, it has been updated on Dec 11, 2018. SUPPORT MULTIMEDIA. This software can send and receive Video, Photo, Documents, Voice message and others related files. CALL IS FREE. It mean here, when you called your friends or others there nothing we spent our money. because this tool using data to connect to other people that has been describe on point number 1. SUPPORT ON GROUP CHAT. you can also create group and then chat on that group. all participant can send message on that group. of course there Admin to manage of that group. WHATSAPP WEB. This mean you can use this application on the web browser. of course not all browser support this tool. 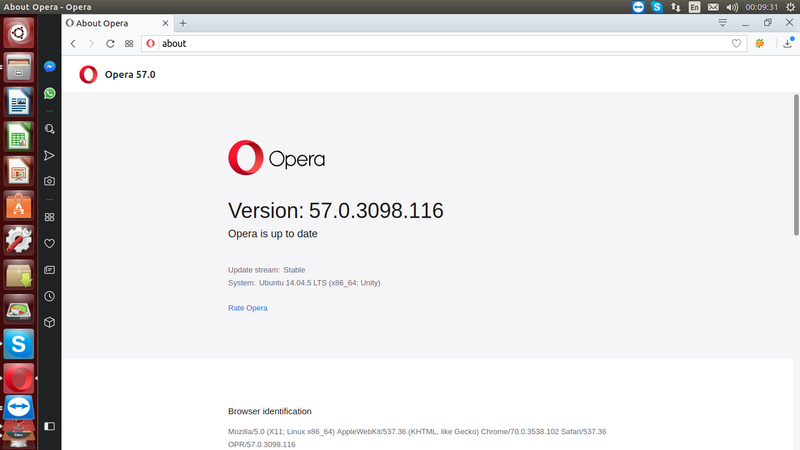 Browser that support Whatsapp is Opera Browser. If you want to use this application just used it from that browser. But if your PC or laptop don't have it, just try to download it. Below is several step to set up Whatsapp on your browser. On the first step is, make sure that you have been installed Opera Browser and it released with latest update. if your computer don't have that browser just try to download from here. After your computer has been installed or if you have it. Just run and execute that browser. After you have been run your opera browser. You will see Whatsapp Icon on the left menu bar. Then after notification show, just follow instruction on that notification. Make sure that barcode has been show when you click Whatsapp icon on the left menu bar on opera browser. There are three instruction. First open Whatsapp on your android smartphone. Second Tap menu icon three dot vertical position and then select WhatsApp Web and the last instruction is just point your phone to capture the barcode that show on Opera browser. After that automatically WhatsApp will run on your computer. And now you can used it with comfort. 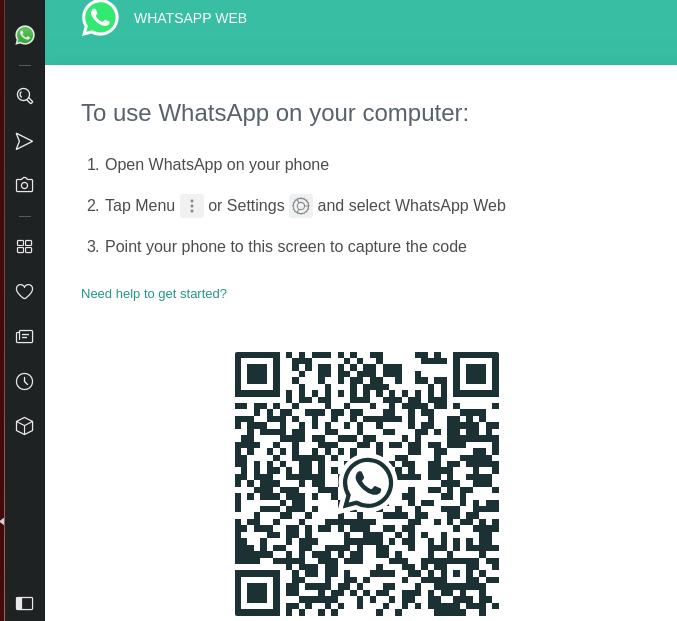 Because when you using WhatsApp on your computer is more easy and awesome. I recommended for you to try it. 1 Response to "HOW TO USE WHATSAPP ON YOUR COMPUTER"
This is something I've been wondering about, thanks so much for the helpful article!